MELBOURNE — Jan. 27, 2019: Novak Djokovic claimed a record seventh Australian Open crown in devastating style today as he condemned Rafa Nadal to the most stinging defeat in their long Grand Slam rivalry. Three years after thrashing Andy Murray for the 2016 trophy, the Serbian regained his Melbourne Park throne with a 6-3 6-2 6-3 procession, clinching his 15th Grand Slam title and third in succession. Moving past Pete Sampras into outright third on the all-time list of Grand Slam winners, Djokovic will head to Roland Garros looking for a second “Nole Slam”, having already swept all four majors in 2015-16. Only Federer’s 20 and Nadal’s 17 outstrip Djokovic’s tally of Grand Slam trophies, but on the strength of the champion’s virtuoso performance at Rod Laver Arena, they will be looking nervously over their shoulders. 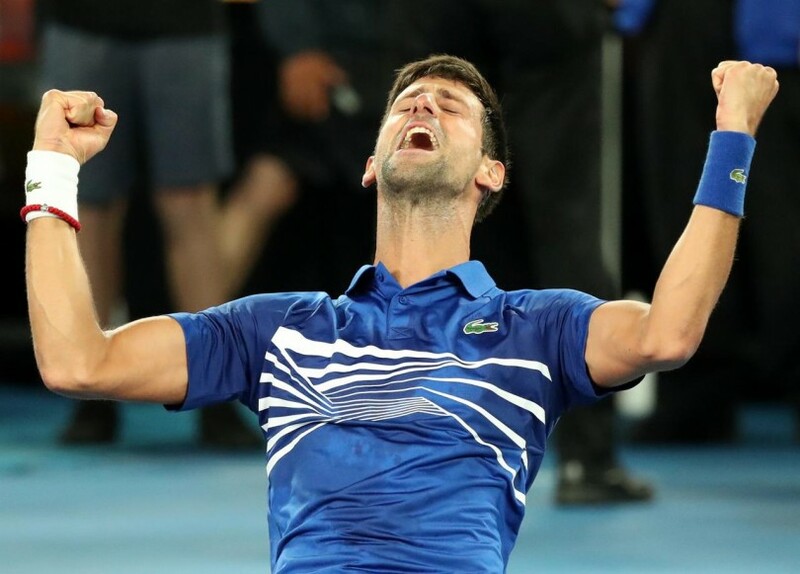 It was a win that left even Djokovic marvelling, seven years after needing a record five hours and 53 minutes to fell the Spaniard in the 2012 classic at Melbourne Park. “It ranks right at the top. Under the circumstances, playing against Nadal, such an important match, it’s amazing,” the 31-year-old told reporters after needing barely two hours to extend his perfect record in seven Australian Open finals. He moved past Federer and Australian great Roy Emerson’s six Melbourne titles, after two barren years Down Under with elbow problems. It was a greater humbling than even the quarter-finals of the 2015 French Open, when Djokovic thrashed Nadal 7-5 6-3 6-1 to end his six-year winning streak at his favourite claycourt tournament. Broken in his first service game, it was clear not everything was right with the Spaniard when at 4-2, he swung a forehand and completely missed the ball. He was unable to take a point off Djokovic’s serve until the ninth game, when the Serb was already serving for the first set. Nadal’s remodelled serve was clinically dismantled, and he punched his racket strings in frustration after giving up two break points in the fourth game of the second. The Serb threw a fiery glance at his players’ box after breaking to 5-2 and fired two aces to take a two-set lead.